Written by Studio1337 on September 9, 2014. We are both happy and proud to announce another Studio1337 website launch! This one is close to our hearts. As Kent State alumni, we love working with the Kent community. The Crooked River Arts Council was an absolute pleasure to work with on this project. 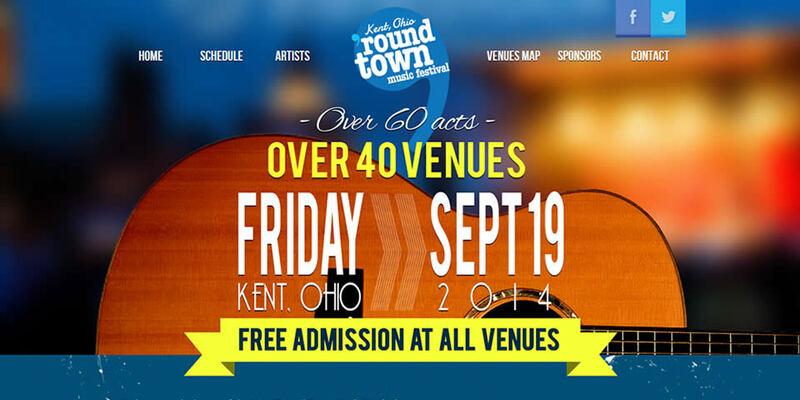 Make sure you check out Kent ‘Round Town Music Festival, go see, hear and enjoy some amazing artists perform ’round town in Kent! Read more about Kent ‘Round Town. Back: Today’s Kitchen Store v2.0Next: Kudos To The Firefighters Community Credit Union!